Uber Landing Page: Uber has revolutionized the taxi industry and more people are choosing to use uber rather than taking a regular cab. Uber has become popular due to its availability on demand. 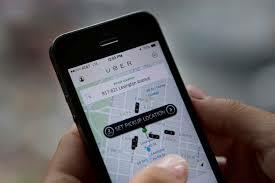 All that users need to get a ride is a smartphone, thus eliminating the need to chase and flag down a taxi. 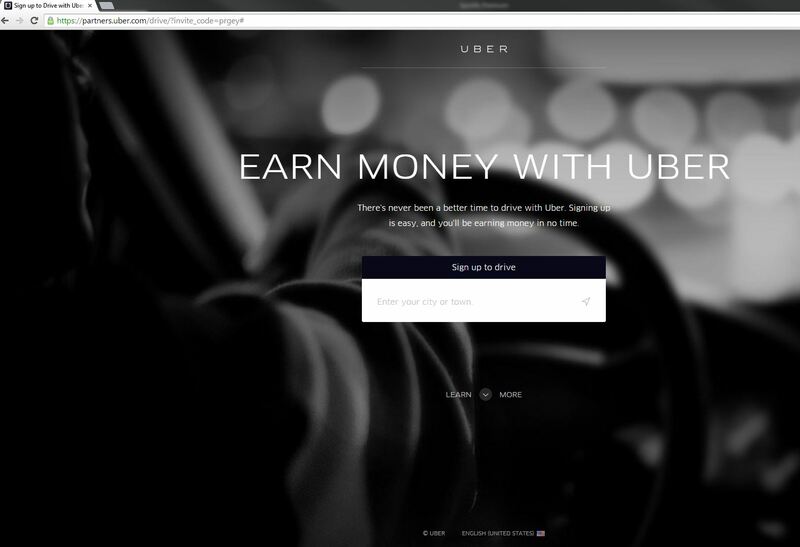 We will look at how effective the Uber landing page is at encouraging prospects to make conversions and how you can make an effective landing page as well. Very many companies have tried to take a slice of the on-demand service market that uber currently enjoys but they have not been able to be as successful. The secret that has made uber the top dog in this market is their marketing strategy as well as their cars and drivers. It is important to understand what a landing page is so as to clearly understand what we will be discussing. A landing page is a standalone page on your website which is not connected to your website’s navigation but that has been designed for a specific purpose. The purpose of a landing page is to get a visitor to convert. The conversion may be in the form of making a download, making a purchase, placing an order or filling out a form. The landing page should be persuasive enough to make the user want to take action. Uber has a landing page which has been specifically designed for Uber riders. The page is aimed at making visitors view uber as an alternative to taxi cabs. This page was designed with the main purpose of generating more riders. • The page conveys the benefit the users get clearly. • They should display badges emphasizing privacy so as to boost trust with their prospects since this page is meant to capture vital info such as credit card info. This landing page has a minimal copy and a short lead capture form which is aimed at increasing the number of drivers who sign up. The landing page has been specifically designed for users who are prospective drivers. The aim is to recruit as many drivers as possible so as to be able to satisfy its ever-growing number of riders. • The lead capture form has few form fields which makes it quite easy to complete. • The sign-up process has been divided into a number of steps so as to avoid using a super long form. • The page has a headline that is benefit-oriented. The title lets the users know that they will get paid every week with uber and that they will be able to make their own schedules. • The landing page copy is concise and thus boosts the conversion rate of the page. this is because the users know exactly what they will be getting when they choose to sign up thus eliminating the unknown. • The graphics they have used on the page would get better reception from users if they used actual people in real situations. People will respond better to something that they can relate to rather than one of those stock photos. • The CTA they have used does not really apply to someone looking to be an Uber driver as it asks you to “sign up to ride”. They should use a language that will motivate the user looking to make money to sign up such as “sign up to earn” etc. This page is used by uber as a really smart move to get more users to sign up for their services. It is designed to attract potential riders. 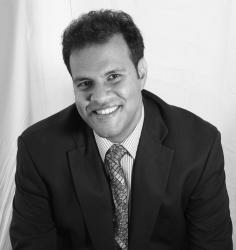 It is different from the first example we have given in the sense that the value message provided is much stronger. The page was created for the sole purpose of increasing the number of people signing up to get rides by offering them a discount. • The logo on the page is not clickable which is good as most clickable logos take the user to the website homepage. This prevents prospects from leaving the landing page thus ensuring you maintain their attention. 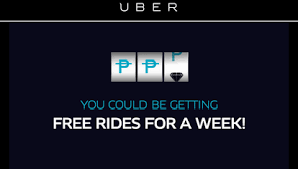 • The offer they are giving prospects is a little deceptive as they are telling them that they get free rides but the real offer is getting a certain amount of money off their first ride. This may make users feel like they cannot trust you and thus reduce the number of people who actually make a conversion. It’s good to always be honest with your users and tell them exactly what they will be getting. • The CTA used is not attractive enough to capture the attention of the user. The language on your CTA is very important as it will determine whether or not the user will feel compelled to click on it. • The page does not have a security budge which is a must have as it is collecting sensitive financial information from the users. Security budges help to cultivate trust in your users so they are free enough to share their information with you. From the above examples it’s clear to see that for your Uber Landing Page to be effective there are a couple of things that you need to ensure are there. The tips that we have given you based on the Uber landing page will be great in helping you create your own effective landing page. Better yet, get save on costs and time by getting one of our well-priced templates.